No matter what industry you work in, selecting a warehouse can frequently be an overwhelming and confusing experience. Every business has their own individual and specific warehousing needs, and finding the warehouse that’s the best fit for your business can be a long process without a clear set of steps to take. Ideal Location: The considerations for selecting a warehouse location are fairly different than selecting something like a retail location. You need to consider the shipping locations of your suppliers to consider the impact of your location on shipping times, as well as how it can affect the delivery locations you’re setting up for your customers. Find out where the deliveries are being made, where you’ll be able to deliver to, and how accessible your location will be from highways and main roads to increase the speed of over-the-road shipping. Storage Requirements: Many companies manufacture products with strict storage requirements, such as flammable products, potentially hazardous materials, and food. When considering a new warehouse location, you need to make sure they have the ability to store these non-standard items. Do they have food safety shelving to keep perishables fresh and safe in freezers or in the warehouse? Is their wire shelving safe enough to store products that may be hazardous? Depending on what you’ll need them to store, this may be a pretty important consideration. Storage Capacity: Above and beyond how safe their products are, any new warehouse location needs to be able to handle the required product load. Take some time to analyze how much storage space you’re currently using and measure that against how much warehouse storage any potential new facility might have in order to figure out if they can meet your needs. Not every warehouse has to stock every single product you carry (unless you’re already dealing with a smaller product lineup), but if the warehouse won’t offer enough space to stock the items you need them to, it might not be worth pursuing. Labor Availability: If you’re not going to be staffing your new warehouse yourself, you’ll need to see what kind of workforce is available at the warehouse you’re choosing. 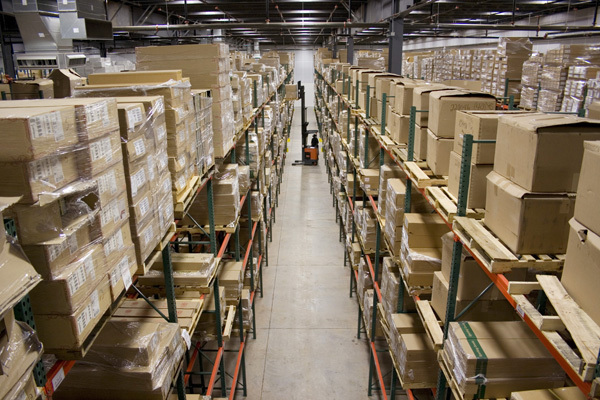 Does your new warehouse operate 2nd or 3rd shifts? Are there competing businesses that might reduce the talent pool? Can they provide enough workers to make sure your deliveries and shipments can be handled on time? Even if the warehouse is spacious enough, a lack of workers might mean they can’t meet your delivery and time needs. By considering all of the above factors, you can hopefully reduce some frustration and make sure you find the ideal fit for your business.